Pick you up from Beijing airport or train station, and then transfer you to your hotel. Free at leisure for the rest of the day. We will pick you up from your hotel, and then drive to Badaling or Mutianyu Great Wall (you can choose Badaling or Mutianyu section. No extra fees.) the Great Wall is one of the most magnificent sections of the Great Wall. 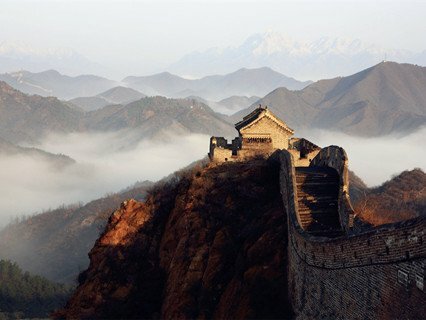 Since the Great Wall has become a national icon of China, whoever come to China would visit it. It is one of the greatest man-made wonders over the world. It was built as an ancient military defense project which was actually worked in the history. Scenic spots: Badaling fortress, beacon-towers, "looking-toward Beijing stone", etc. 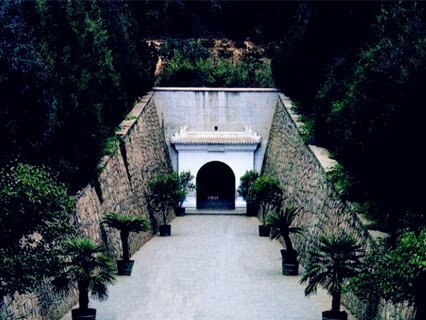 After Chinese lunch, you will visit Ming Tombs, the only tomb of the thirteen Ming Tombs has been excavated. It is also known as the Underground Palace. Buried here are three individuals; Emperor Wan-li (died 1620), Empress Wang (died 1620), and another Empress Wang (died 1611). 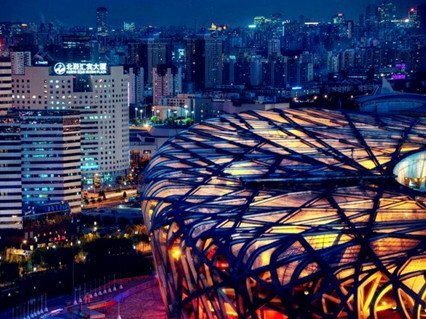 On the way back to the downtown, you will have a short exterior visit of the Olympic Stadiums-Bird's Nest and Water Cube. If you want to go inside, you need buy tickets on your own. Visit Tian'anmen Square, Forbidden City, Jinshan Park and Temple of Heaven, and then watch an evening show. Your personal English tour guide will meet you at the hotel lobby at appointed time, and then drive to visit The Tian’anmen Square, whose name literally means “Gate of Heavenly Peace”. 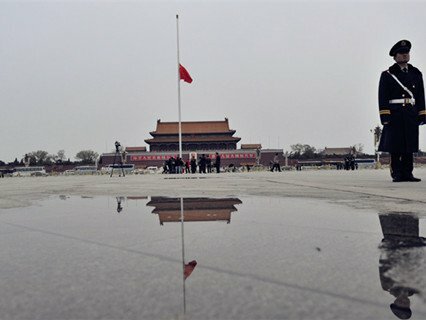 The square witnessed the foundation of the People’s Republic of China and several important events in Chinese history. 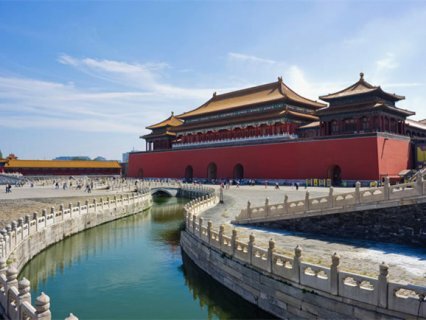 Then, go to The Forbidden City which are located in the center of the city. This palace is an example of ancient Chinese architecture. And we add Jingshan park for the customer this year, because you can see the whole view of the Forbidden city at the top of hill, and you will feel the magnificent and spectacular more than inside of the city. GPS Audio Guide Free: Badaling Great Wall, Forbidden City, Summer Palace, Temple of Heaven Install App or bookmark our website on your phone browser to enjoy. 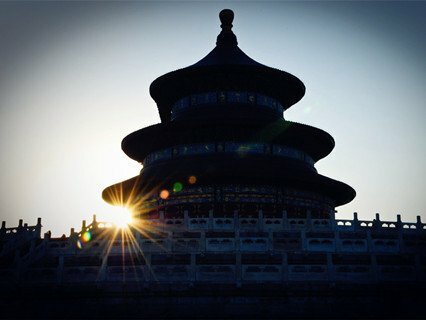 After lunch, you will visit Temple of Heaven, a complex of religious buildings where the emperors came every winter solstice to worship heaven and to solemnly pray for a good harvest. Built about 600 years ago, it is the most holy imperial temple in Beijing. 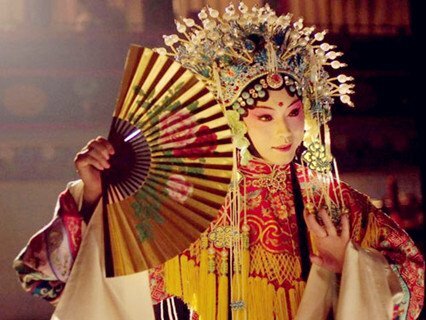 Special Gift In the evening, choose a show you are interested in (Peking Opera, Acrobatic or Chinese Kongfu). Pick up from hotel, then you will visit Pandas in Beijing Zoo in the morning, and you can see the lovely China giant pandas there. 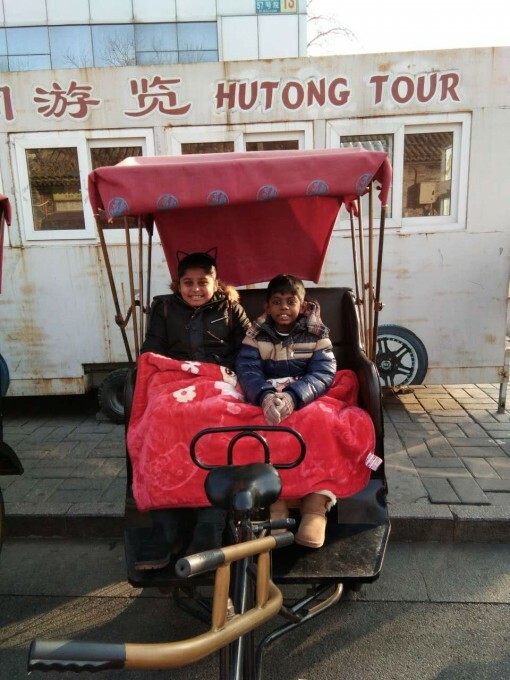 Then visit Beijing Hutong at Shichahai Scenic Area, where you will visit the Beijing old lanes by rickshaws and explore traditional Chinese quadrangles to get to know local life. At noon, have a Chinese dumpling lunch in a selected resturant. In the afternoon.we will visit Summer Palace , which is the largest and best-preserved royal garden in China. It is a blend of natural scenery and artificial landscape. The mountains, waters and architecture together form picturesque scenes that are amazingly beautiful. 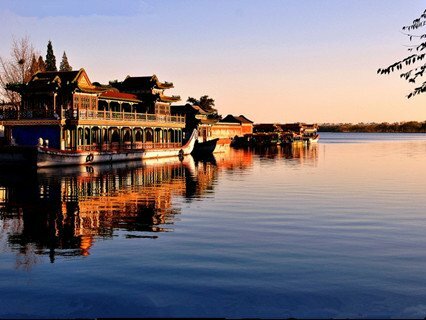 UNESCO declared the Summer Palace “a masterpiece of Chinese landscape garden design". Scenic spots: Hall of Benevolence and Longevity, Hall of Joy and Longevity, Longevity Hill, Kunming Lake, Long Corridor, Marble Boat, etc. We will pick you up from your hotel, and then transfer you to the airport or train station. See off. This is a Private Tour: which allow you to customize your tour itinerary. A designated car and a private tour guide will be at your service. One shopping stop in day2, day3, day4: jade, tea, silk or pearl. 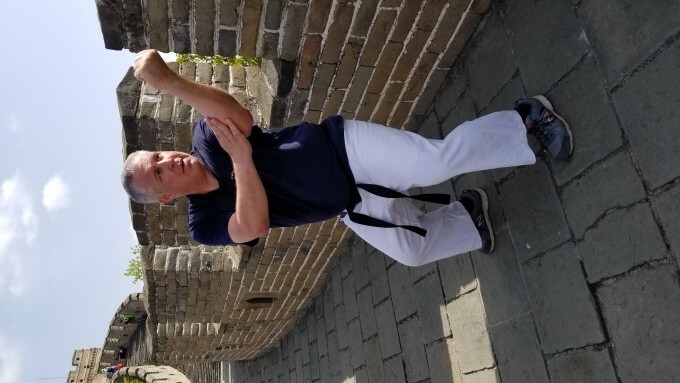 It had always been a dream of mine to practice Martial Arts on the Great Wall of China. I contacted Nancy my rep from China Tours after booking and was told they could make that happen during my visit "No Problem". My 4 day tour was great, my guides were very professional and knowledgeable. 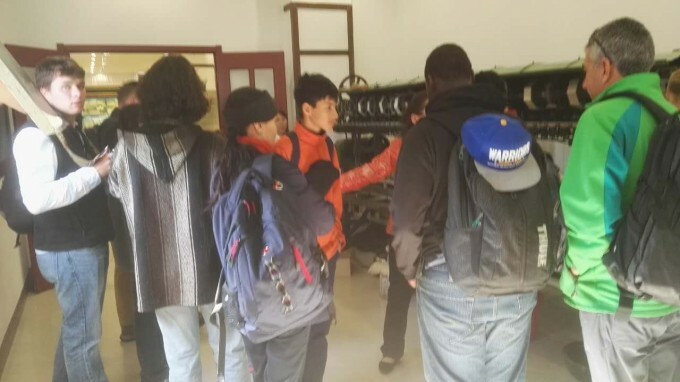 First driver was a more..
My occupation is the tour workers,deserve to be mentioned,the tour guide Carine is devote to this work.is very excellent.Thank you! more..
We had a good time in Beijing ,thank our tour guide and driver. The Summer Palace is very beautiful in this season ,we recommend Beijing tour for our friends. more..
Enquiry : We want to book a 5 days 4 nights tour, which hotel do we stay on the first day? Reply : hello, i am sorry i don;t understand your question, if you want to ask about visa ? do you mean if you need to book tour before you get your visa? in fact , we don't provide visa service .you can see if you need to book this book for your visa application.